When you are planning your Disney World vacation, you are probably looking at all of the Disney resorts and trying to decide which one is best for your family. 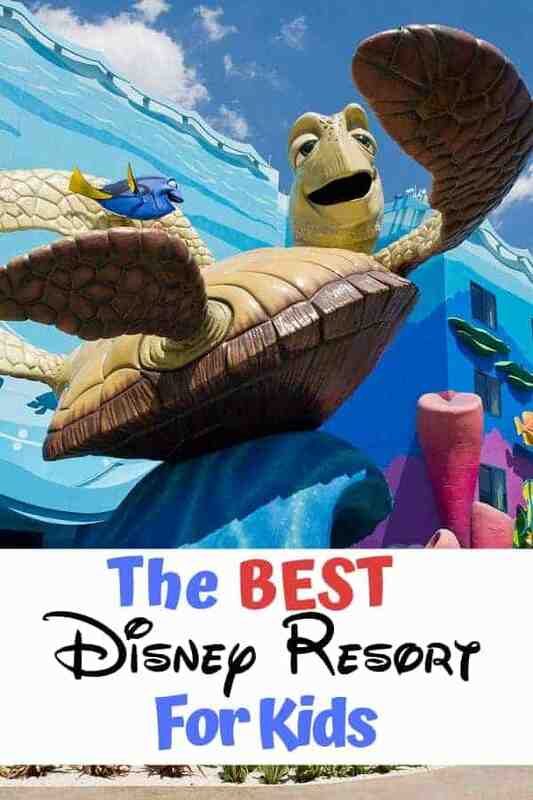 There are so many different resorts and while all are great in their own way, there is only one that we feel can be considered the best Disney World resort for kids. Which is the Best Disney World Resort for Kids? We believe that the best Disney resort for kids is none other than Art of Animation. 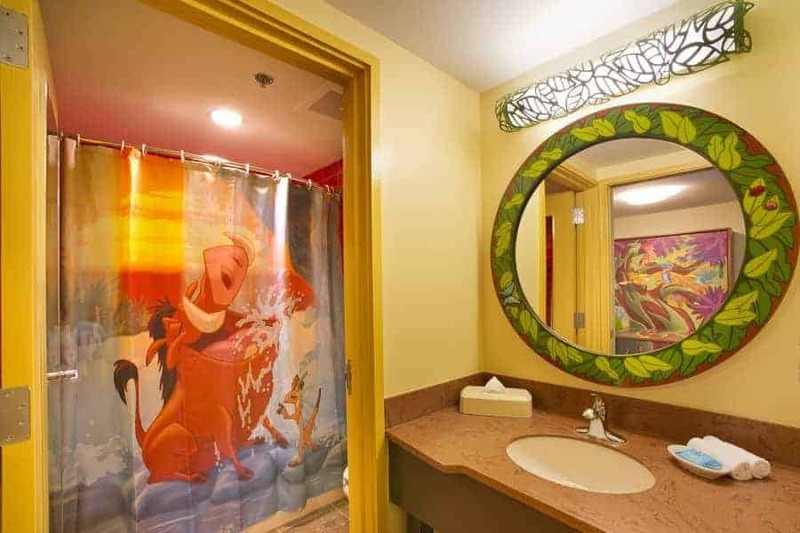 There are a lot of factors to consider when trying to decide the best Disney Resort for kids. For us, it is based on a few different factors, but the main one is that we can 100% guarantee that your kids will love everything about this resort. Art of Animation is one of Disney World’s newest resorts and when they designed it, they made sure to fill it with things that kids and families would love. 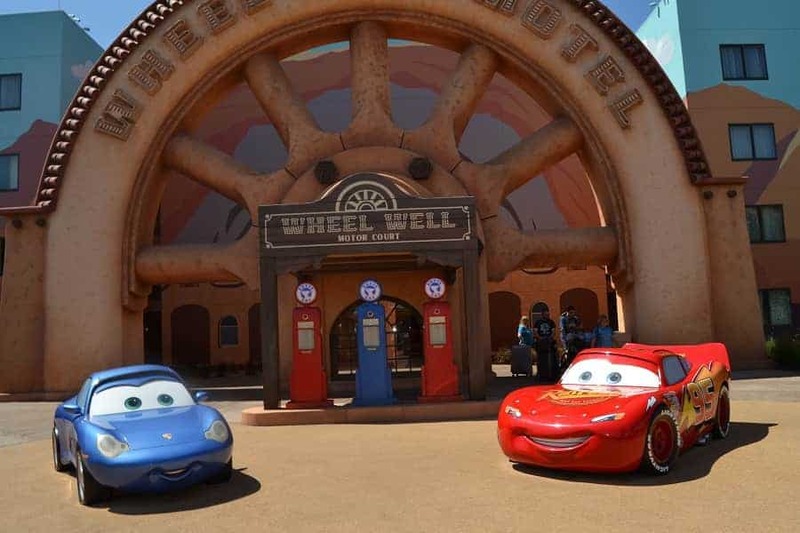 The wings of the buildings celebrate classic Disney & Pixar films that kids love: Disney Pixar Cars, Finding Nemo, Lion King and The Little Mermaid. Not only do the exteriors of each building bring to life the iconic characters from the movies, but each room inside also makes you feel like you’ve stepped right into the story! No matter which wing you choose, you can be sure that you will have a great time. There are so many kids activities, that families will find it hard to even leave the resort for fear of missing out on the fun. There are daily character artists in the Finding Nemo lobby, poolside games, and you can even grab a quad-bike and tour the property! While there are three different pools to choose from, the favorite is the “Big Blue” pool. 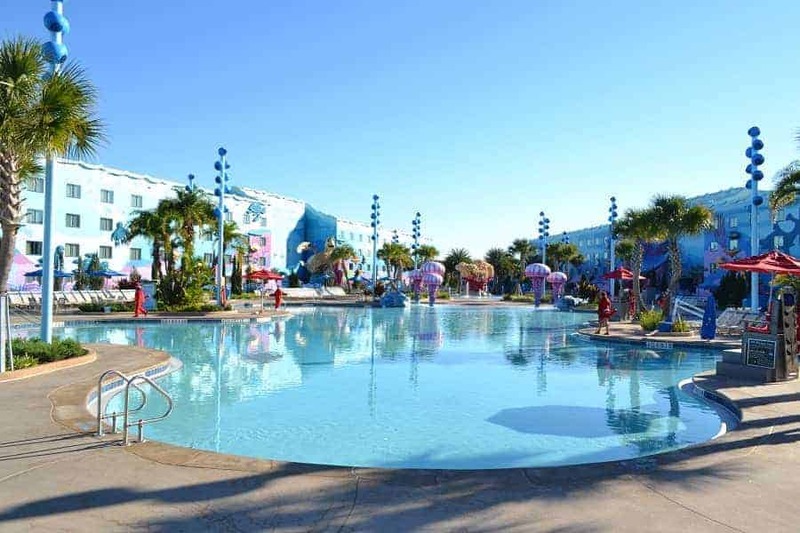 It is the largest resort swimming pool at Walt Disney World and is the first to offer underwater music. That’s right, underwater speakers periodically pipe in music and messages from film characters. At night, guests can enjoy roasting marshmallows and watching poolside movies. Art of Animations features of the best options in terms of quick service restaurants. Landscape of Flavors food court is open for breakfast, lunch and dinner, and features items such as fresh smoothies, hand-scooped gelato and pizza. You can even find Mickey Ice Cream bars!